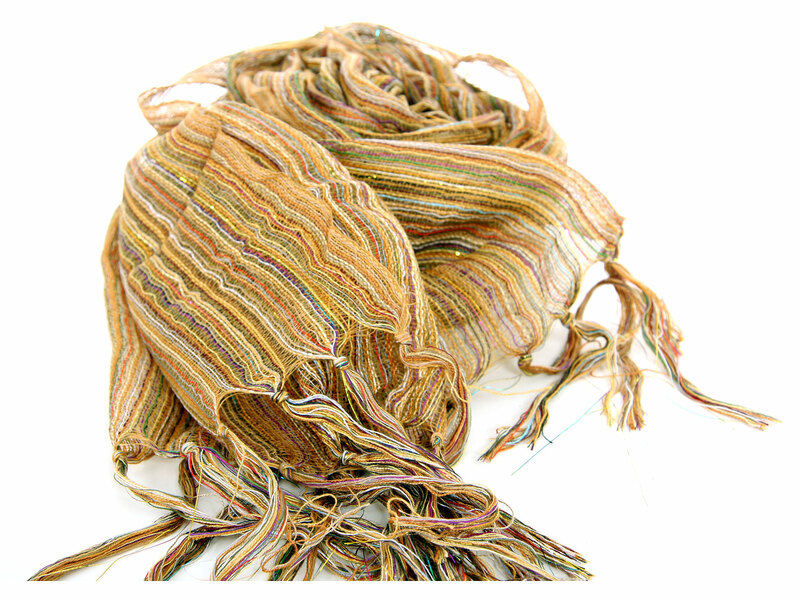 Lightweight sheer polyester scarf with shining woven multi colored stripes and long knotted fringes on its edges. Contrasting borders of the scarf give an edge to this scarf which can be used all year around. Imported.